Some mornings, you just need something special for breakfast. 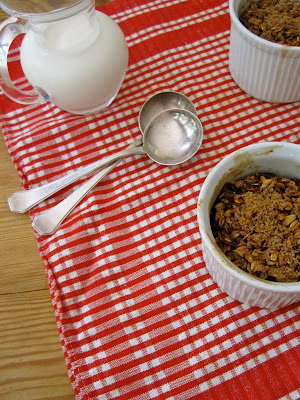 I love the idea of baked oatmeal and, after several tries, I've come up with a recipe that will make Saturday morning even better. 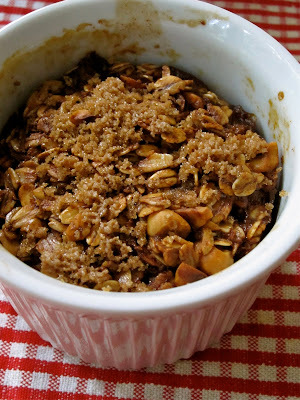 When you take a bite, the oatmeal is crisp and caramelized on top and nutty and moist in the middle. Your spoonful will finish with the sweet pears. Preheat oven to 350 degrees. Toast hazelnuts on a baking sheet for 10 minutes (hazelnuts should be golden brown and fragrant). Mix the oats, hazelnuts, baking soda, cinnamon, and 2 tablespoons of the brown sugar in a medium bowl. Set aside. Melt 1 tablespoon of the butter in a skillet over medium high heat. Gently saute the pear slices until they release their liquid and shrink in size (approximately 5-6 minutes). Drain off the liquid. Split the pears between two small ramekins or ceramic baking dishes. Set aside. Lightly beat the egg with a whisk in a medium bowl. Melt the remaining 2 tablespoons of butter in a saucepan over low heat and add the melted butter, milk, and vanilla to the egg. Whisk together. Pour the wet ingredients into the oat mixture and mix well. Divide the mixture between the two ramekins and pour it on top of the pears. 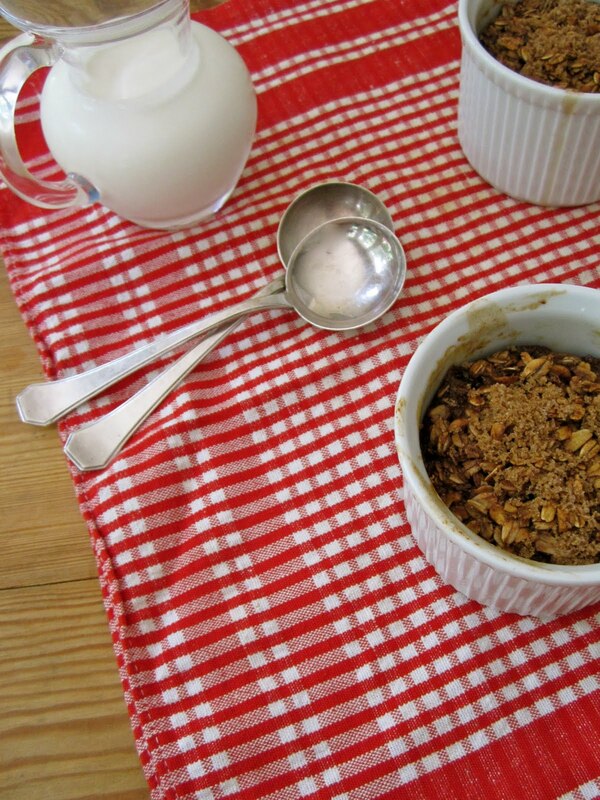 Sprinkle 1/2 teaspoon of brown sugar over the top of each oatmeal. Broil for 1-2 minutes. Serves two generously. A little bit of heavy cream is a terrific topping.